It is slightly awkward and entirely satirical that I find myself writing about this topic. Over the years, I’ve read many articles that talk about over indulged developed countries juxtaposed with developing countries that struggle to feed their population. At some point in time, I have come to peace with myself that as long as I’m not spending beyond my means then it would be okay. Last week, I battled with my own materialism, in a very real physical way. I was tasked with packing our condo for a temporary move back to my parents. We lived in a 570 sq. ft. condo, and I was of the belief that we did not own that much “stuff”. But when I began packing, I realized that “not that much” was a lot! As I looked at the empty condo, with my backpack on, I felt light. I felt like all I ever need is in this backpack so why do I have so much stuff to begin with? There was an urge at that point in time to head to the airport, see what flights were leaving YYZ, and just take off. Resisting that urge was a test of will and you would not believe how hard it was. We see that this fleshly form received in birth from our parents, this body bound by earthly desires, is none other than the Thus Come One who has existed always and is ever-abiding. This is what is called the attainment of Buddhahood in one’s present form, the realization that earthly desires are none other than enlightenment and that the sufferings of birth and death are none other than nirvana. At this time when we gaze at the phenomenal world, we see that all things conform to the single principle of the Middle Way, and that the Buddha and living beings are one. This passage reminds us that we are all humans, and because we are humans we have earthly desires. But, at the same time, it is these desires that propel us forward in life and make us continue to strive for the next best thing. What is important is to not allow these desires to engulf and blind us, while on the other hand to not deprive ourselves of the pleasures of life. It goes on to explain that, the realization that these earthly desires, as well as birth, aging, sickness and death are all cycles of life. True happiness comes from the principle of Middle Way where we are not swayed by the ups and downs in life, and that we develop strong inner strength and character. So after 35 boxes, 1 crazy day of moving, and a sprained back I’ve learned to come to peace with my materialism again. I’ve forgiven myself a little, learned that if I were to lose it all one day I should always remember that I already have what I need. 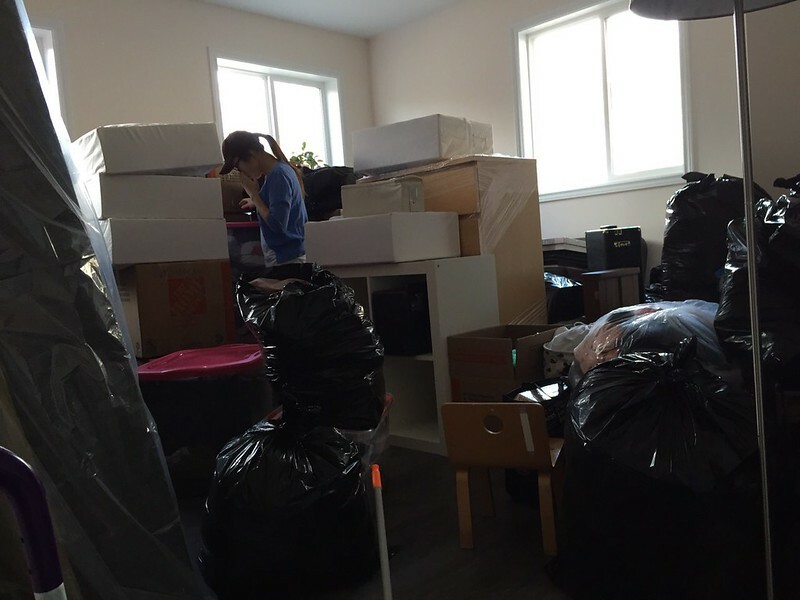 This entry was posted in Life, Main and tagged #canada, #condo, #materialism, #moving, #packing, #realizations, #toronto, inspirational. Bookmark the permalink.